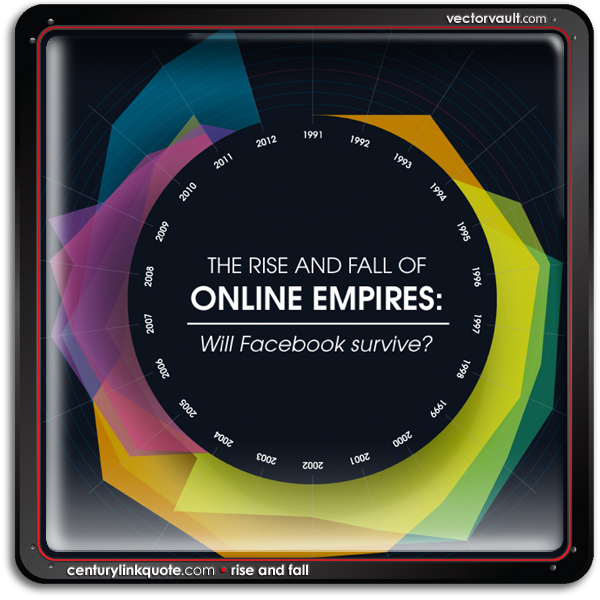 Is Facebook immune from the fate of those who came before it? While Facebook seems impossible to slow down at the moment. 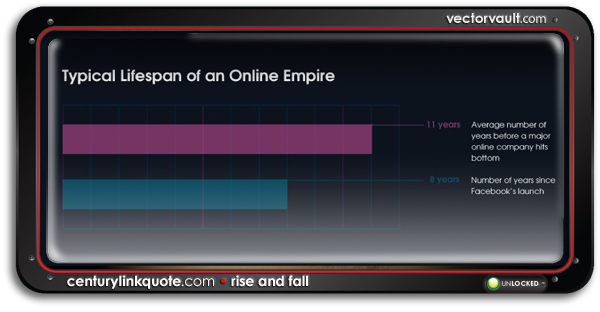 History has shown that many online empires share the same fate. 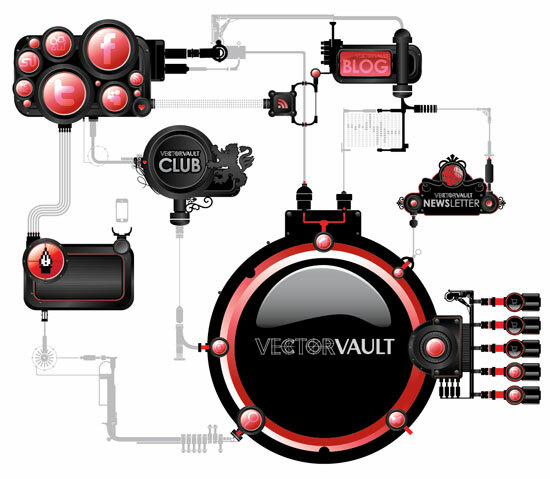 This marvellously crafted vector infographic does great job of illustrating that. Even Rome had their problems keeping their stats strong. Now here’s a very interesting infographic for all you Twitter users out there. Find out who’s tweeting in the US. The US of A is a big place filled with lots of tweeting citizens. 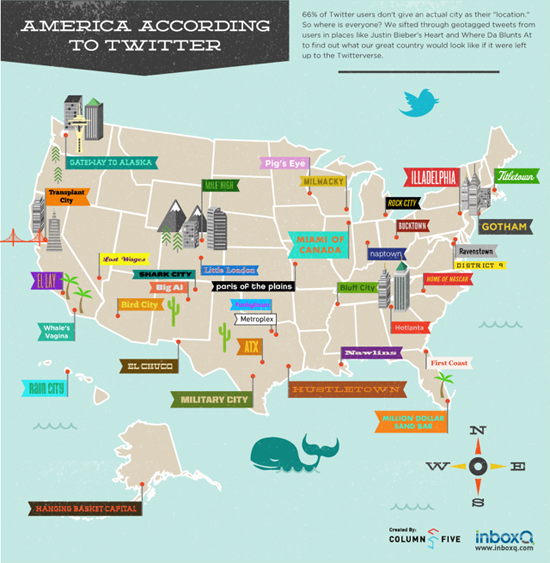 This little map breaks let’s us know what US cities might be called if named by Twitter users. Ever wondered what it actually looks like?